It's the unofficial start of summer here in the United States! Memorial day weekend marks the beginning of weekends at the beach, late nights over the fire pit and long bike rides in the sun. 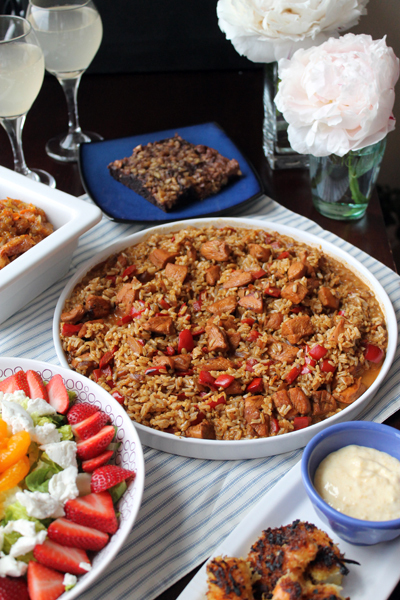 To celebrate summer, boyfriend and I threw a dinner party for our friends with the warm weather in mind. While the northeast won't be greeted with tropical weather this weekend, we soon will be basking in heat and humidity. Traditionally, boyfriend and I head to the Caribbean right around the time we get sick of winter. This means that come February, we are packing up our suitcases with bathing suits and sunscreen, getting ready to escape the snow and clouds. 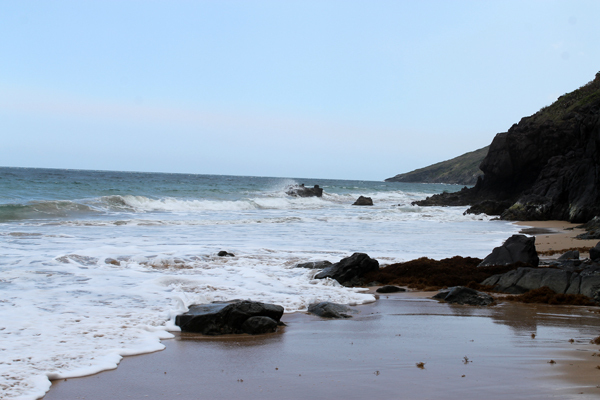 Whether it be a trip on a cruise, sailing from island to island, or a week at a beach side resort, wiling away the hours lazing on the beach. It doesn't matter where we go, as long as it's warm! We never wind up just sitting and relaxing of course. If you know us, you know that boyfriend and I cannot sit still for very long. On our trips to the islands, you might find us snorkeling, hiking, rappelling, zip-lining or canyoning. Our day-long adventures lead us to be extremely hungry come the end of the day! The best way to finish your day in the islands is eating at a beach side hut, enjoying food prepared by locals. Along our travels throughout the Caribbean, I have picked up a number of local cookbooks. Since we only travel south once a year, I wanted to be able to remember that vacation feeling while at home. It was from these cookbooks that we planned out Caribbean dreams dinner party for our friends. In order to unofficially start summer here in New Jersey, we enjoyed a dinner from the islands! The food took us island hopping from Key West to St Thomas. 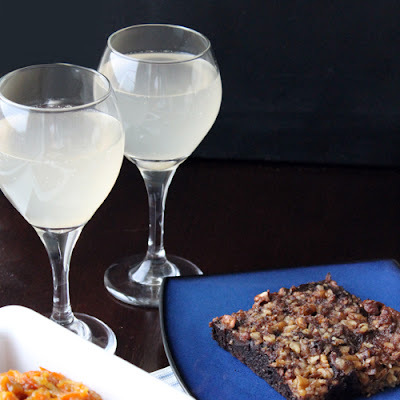 Drinks and desserts brought us from St Kitts to Grenada. 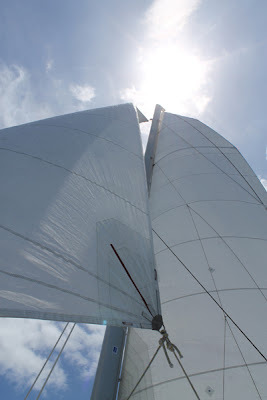 We journeyed all over the Caribbean sea in a single evening! Throughout the week, you can take the same trip we took and today we begin with drinks. 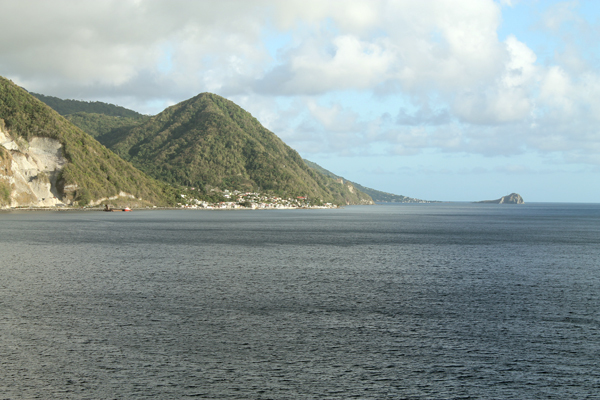 While I was still a Postdoc, boyfriend and I took a week long trip to St Kitts. While the island is an excellent place for hiking, snorkeling and monkey sighting, it is also home to Ting. During our week on St Kitts, we probably drank a few dozen bottles of Ting. 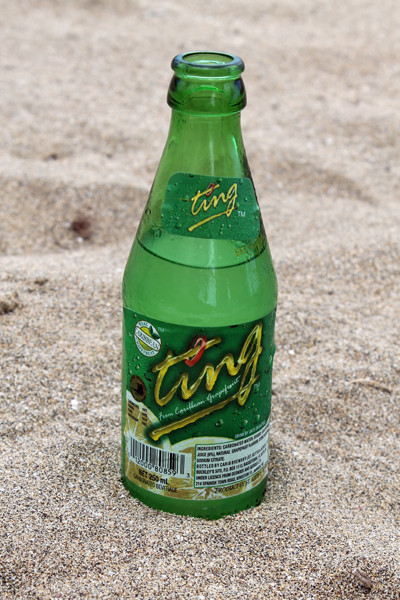 A sparkling, tangy grapefruit soda, Ting is bottled on St Kitts (originating on the island of Jamaica!) and is a favorite local drink. If you're looking to enjoy your vacation a little more, pour in some rum, for Ting with a sting! Stop by all week for the rest of our Caribbean dreams dinner and take a trip of your own! I decided to go with fresh grapefruit juice for my version of Ting. Since grapefruit juice has a high water content, it wasn't as tart as the St Kitts soda. This is when I decided to add the citric acid. If you want to make Ting a little faster, buy a frozen can of grapefruit concentrate. This will has the tartness without having to add acid. Just combine 2-4 tbsp concentrate with 3/4 cup seltzer. Combine first three ingredients in a small saucepan and warm over low heat. Swirl until sugar dissolves. Remove from heat and add citric acid. Stir to dissolve. Transfer grapefruit juice to a container and put in the fridge. When ready for drinking time, combine 1/2 cup grapefruit juice liquid with 1/2 cup seltzer. Make a glass of Ting, add 1 ounce of white Rum.